The state of Alaska’s record Chinook (King) Salmon weighed over 97 pounds, caught by Lester Anderson in 1985. It took ol’ Lester more than 2 hours to bring in that “Fat” Chinook salmon. Alaska is the largest state in the union and one fifth the size of the Lower 48. There is nearly a square mile per person! 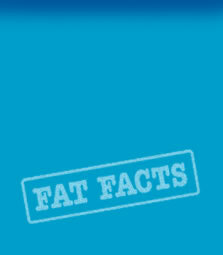 The fish and seafood industry is Alaska’s largest private industry employer. Alaska is a fisherman’s paradise and Alaskan waters are home to a large variety of sea life including King Crab, shrimp, Halibut, Herring, Orca Whales, sea lions and five Salmon species including Humpies, Chum, Coho and the prized FAT Pacific King Salmon. Skagway is also home to the famous Ivory King, which unlike regular King Salmon, is pure white meat. The largest known Salmon caught in Alaskan waters tipped the scales at 97.5 pounds and took more than two hours to catch. Fishing is a passion that stirs your soul and residents of Alaska plan their schedules around the tides and salmon runs to be sure to get the most Salmon for their freezers or smokers. Fortunately for visitors of Skagway, one doesn’t have to be so meticulously organized in order to catch Salmon. King Salmon fishing in Skagway is the ultimate fishing experience of a lifetime. Unlike most cruise ports around the world, Skagway waters offer the angler an unparalleled opportunity to fish these legendary waters without commercial fishing vessels crowding and competing for your prized Pacific King! 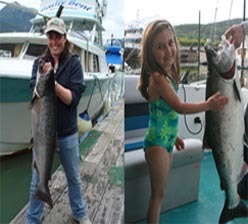 Your extreme fishing adventure begins in Skagway’s Small Boat Harbor, slip A-5, with FAT Salmon Charters. 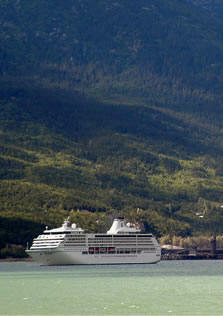 If you are arriving on a cruise ship, FAT Salmon Charters is an easy walk, docked next to the cruise ship docking. Owned and operated by USCG Master Captain Joe, winner of last year’s fishing derby for Skagway locals and a resident for 14 years, Fat Salmon Charters is a well maintained, fully rigged, twin engine fishing vessel with a comfortably equipped cabin. Captain Joe’s experience and knowledge, in combination with a fish finder and down riggers to get your line where the Salmon run, all work together to deliver an exciting and successful fishing experience. Fishing licenses are available on board. Captain Joe takes great pride in making each charter excursion the ultimate fisherman’s dream. Just minutes to the Lynn Canal, you’ll spend your fishing experience actually fishing instead of cruising! The vast fjord of deep green sparkling glacier water and the breathtaking scenery engulfs you and is just a predecessor to the battle and excitement that lies ahead! Whether you are a seasoned angler or a beginner, Captain Joe will provide you with the gear and tackle you need to get that FAT Salmon on your line and in the boat. As you gaze at the towering peaks above, you’ll feel a tug on the line – and your battle with a 60# Salmon has begun! Half day, full day and exclusive charters are available and our charters are scheduled to coincide with the cruise schedules. 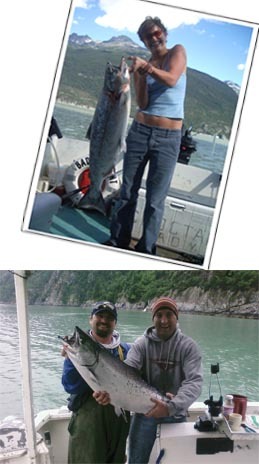 There is no fishing experience anywhere that will compare with battling a Pacific King Salmon! At the end of your trip, when you’re trying to figure out what to do with your catch, Captain Joe will clean your fish and prepare them for processing. Fat Salmon charters offers a variety of options for processing your catch and will arrange to have your fish delivered to your door upon your arrival home. Favorite Fat Salmon original recipes for preparing your prize catch, including a dishwasher recipe, are proudly shared. There is nothing tastier than a freshly caught Alaskan King Salmon and there is nothing more exhilarating than the battle that brought it to your table. Don’t miss this unique experience, book a charter fishing trip with Fat Salmon Charters today!